When customizing a Street Glide, one of the first things Paul does is remove the stock turn signals. Well, that leaves ugly holes in the lower fairing...so Paul created these bitchin' Turn Signal Eliminators for Street Glides! The Yafterburner Turn Signal Eliminators are a super cool and quick way to dress up the front end of your Street Glide. Our Yafterburner style creates a killer contrast look that defines your unique Bagger. First, Yafterburner products are CNC machined from T-6061 aircraft aluminum. 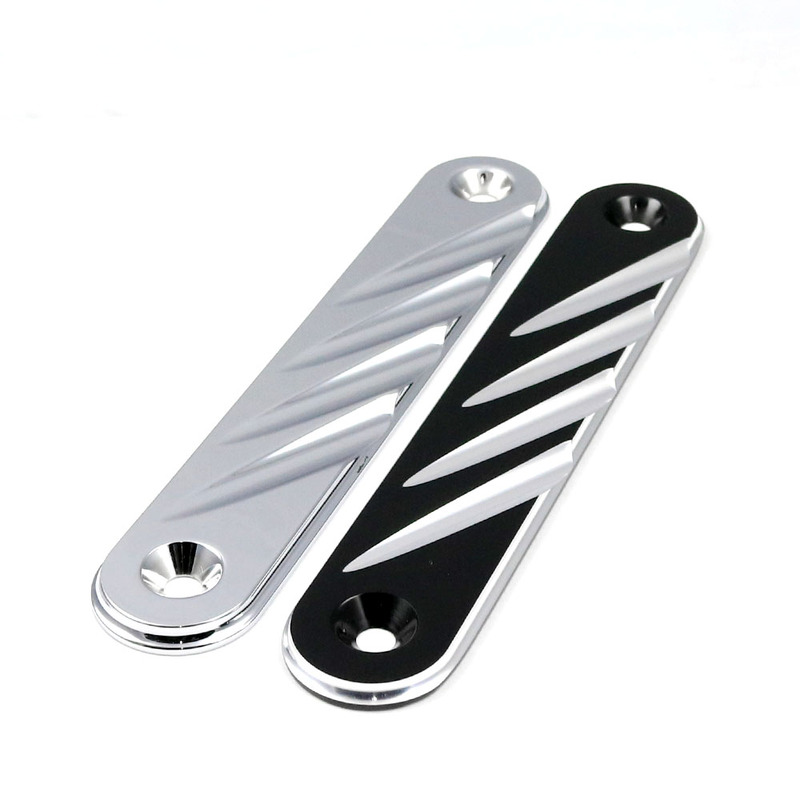 We make them available in a brilliant chrome finish or powder coated in a deep, rich black then accent-cut to bring forward the underlying metal.